Too much to do and not enough time to accomplish it all? 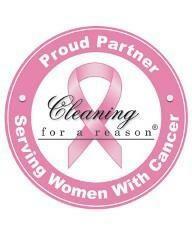 Our Merry Maids® team is here to provide house cleaning services in Geneva that help you reclaim your time. With a name backed by 40 years of experience caring for homes just like yours, we have the proven processes and advanced techniques that deliver results for every inch of your space. It’s time to start coming home to more. Merry Maids of Geneva is here to help you enjoy life’s moments, regardless of what your schedule is like. We’ll customize our visits on a weekly, bi-weekly, or monthly basis and will bring all the supplies necessary to re-energize your home. Our work even comes with a worry-free guarantee, so if you’re unhappy for any reason, just let us know within 24 hours and we’ll return to make it right. Let our team members take care of your to-do list so you can focus on everything else. Request Your Free Estimate Fill out our estimate form or give us a call at (331) 248-1388 to get started.